How do I get help patching my site? Plone service providers are listed at plone.com/providers There is also free support available online via the Plone IRC channel and the Plone community forum. Who is on the Plone Security Team and how is it funded?The Plone Security Team is made up of volunteers who are experienced developers familiar with the Plone code base and with security exploits. 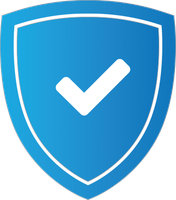 The Plone Security Team is not funded; members and/or their employers have volunteered their time in the interests of the greater Plone community. How can I help the Plone Security Team? The Plone Security Team is looking for help from security-minded developers and testers. Volunteers must be known to the Security Team and have been part of the Plone community for some time. To help the Security Team financially, your donations are most welcome at https://plone.org/sponsors.